Update January 2012: In addition to the book Total GMAT Math, Jeff Sackmann has also written a math supplement called 1800 GMAT Practice Questions. 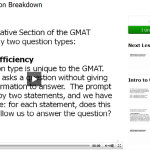 This is a huge additional resource of GMAT sample questions. Both of these books can be bought from his online store here: GMAT Hacks. As a GMAT tutor, I’m always looking for new GMAT practice materials that will be helpful for my students. Over the past two years there has been an explosion of new books and online courses designed to help students improve on the exam. This includes startup companies like Knewton and Grockit, complete online video courses like the GMAT Pill, and new content delivery platforms like iPhone apps. Of course, there are also standard textbooks available, and these materials can be just as effective. 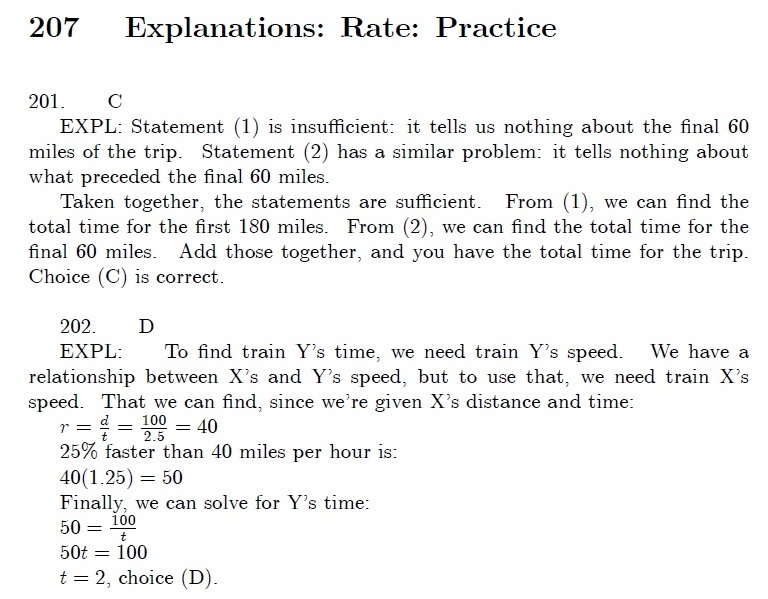 One example is Jeff Sackmann’s Total GMAT Math. I’ve been hearing about this book for a couple years on various forums, and I finally got a copy. Sackmann works as a GMAT tutor in New York City and runs the website GMAT Hacks. He’s been teaching the GMAT for over ten years; like many private instructors, he began with a major test prep company and then went off on his own. I’ve been reading his GMAThacks blog for a while now and I’ve been impressed with the level of quality content. Total GMAT Math is available as a PDF for $49.95, or a paperback book for $59.95. I’ve been using the PDF and think this is a good option, as it encourages you to do your scratchwork separately (like the real exam). The first thing you notice about this book is that it’s huge – 430 pages in all. 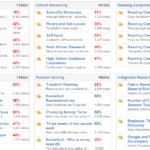 Sackmann includes literally every sub-topic of math for the GMAT. As a result, the book is extremely comprehensive. It was updated in 2010 and Sackmann has said that he periodically retakes the GMAT, so it’s likely that the material is up to date. Of the 430 pages, 260 are content and 170 are explanations. The explanations are one of the book’s main strengths – they are considerably more detailed than those in the Official Guide. As mentioned, the book is quite comprehensive and covers every topic you are likely to see on the GMAT. Some readers may find the beginning of the book too basic – it starts with overviews of arithmetic and algebra. Yet even here, Sackmann adds value in his discussion of “Mental Math”, which are tricks that are designed to help prevent difficult handwritten calculations. I know from experience that many students struggle with decimal multiplication and division, so this section should be very helpful for saving time and preventing careless errors. Sackmann actually believes that you can never do any long division at all on the GMAT. I think that’s stretching it a bit, but you can definitely avoid many long calculations with his recommendations. The GMAT books that I typically recommend are the excellent set of books from Manhattan GMAT, which I think are the best on the market. However, I always give students the caveat that some MGMAT question are too “far out” and unlikely to appear on the actual exam. Total GMAT Math doesn’t have this problem – everything in the book closely models official questions provided by the GMAC. The book starts to get really good later on. I noticed that Sackmann devotes extra time and practice questions to topics that appear more frequently on the exam, such as GMAT Work problems and Number Properties problems. Every topic has at least 5-10 GMAT-like sample questions. However, for the more important topics, Sackmann adds an extra set of more difficult “challenge questions.” The fact that Sackmann organized the book like this demonstrates his extensive familiarity with the exam. These “challenge questions” provide an excellent extra set of example problems for those looking to score 700 on the GMAT. In summary, Total GMAT Math is an excellent resource for students seeking extra questions and explanations that go beyond the Official Guide. The book only costs about $50, so I highly recommend it as part of a study program. To see the book on Sackmann’s website, head over there now. 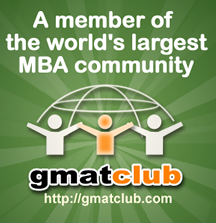 Click here to visit GMAT Hacks.